Complete your country-living experience with Sabina Farm's own U.S. Grade A Pure Maine Maple Syrup, produced by the Inn's owner Robert Milligan. 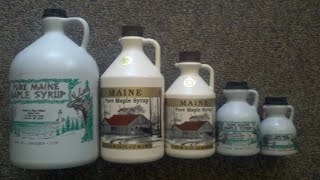 Pure Maine Maple Syrup makes the perfect gift for the holidays and is great for yourself too! If you haven't tried our pure Maine Maple Syrup over pancakes, waffles, rice, ice cream, scallops wrapped with bacon, oatmeal or more, then you are missing out on one of nature's best treat. Absolutely NOTHING added to our Maple Syrup - just pure maple sap from our orchard carefully boiled down the old-fashion way over a wood fire to syrup. Not much has changed after decades of maple syrup producing. Nearly 50 years ago on the large family dairy farm, Bob Milligan decided to tap some maple trees and hang some buckets to collect the sap so he could produce maple syrup. Once perfecting the cooking process and sharing his syrup with friends and family, Bob's maple syrup quickly became in high demand! Today, Bob can still be found in the sap house boiling away with people stopping by to visit, chat and of course, but some of nature's best treat - 100% pure Maine Maple Syrup by Sabina Farm! Bob's skills, technique and unique way of chatting with visitors have even impressed nearby Sunday River Resort! In 2010, they constructed a Sugar Shack right on the ski slope and hired Bob to run the operation and produce maple syrup right there on site too! Competitive pricing available by the bottle or by customized packages. Our packages make excellent gifts! $13.65 flat rate shipping charge added for any Medium Bundle Package. or can be picked up same day at no extra charge at our location. 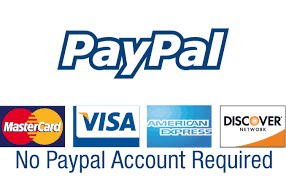 $18.90 flat rate shipping charge added for any Large Bundle Package.